The Gull Terr is a fearless breed which needs a strong experienced owner to be able to train and control them. They are very suspicious of strangers and extremely protective and loyal to their owners. They are good with children that they have been raised with but you'll have to supervise your doggy if he's around any which he doesn't know or recognise. This breed is very trainable as he is intelligent but you need to socialise him from an early age and make him understand that you are the pack leader. If left to their own devices they can become aggressive and destructive. They are big dogs so it is vital that your Gull Terr dog is properly trained and socialised whilst young so that he is manageable as an adult. They enjoy structure and routine and need a fair amount of exercise as they are very active and always on their feet. This makes them unsuitable for apartment living. Not to be trusted around cats or other non-doggy pets. The Gull Terr is also from a dog fighting background so they may be aggressive towards other dogs too. This rare breed was introduced to Pakistan and India by the British Raj when they were under British Rule. The British Army brought along their English Bull Terriers who were then inter-bred with the local dogs to produce the breed we recognise nowadays which was very popular in dog fighting and bear baiting due to their fearless nature. The pure Gull Terr is recognisable by his completely erect ears and his almost totally white body. 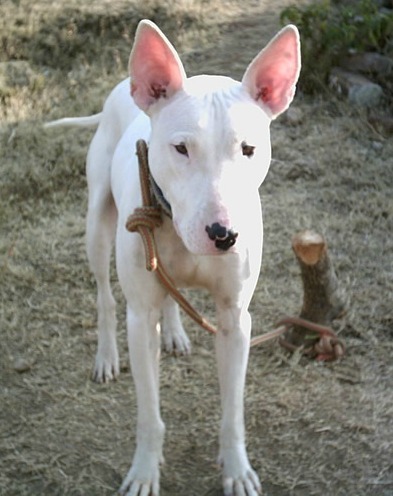 They very closely resemble the way the old 19th century Bull Terrier looked. 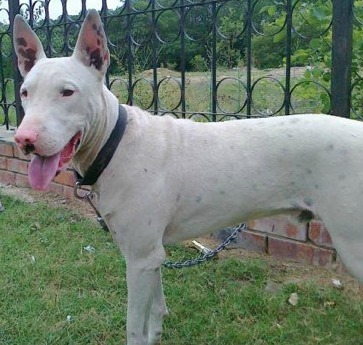 The best purebreed's come from the Punjab and Kohat areas of Pakistan. 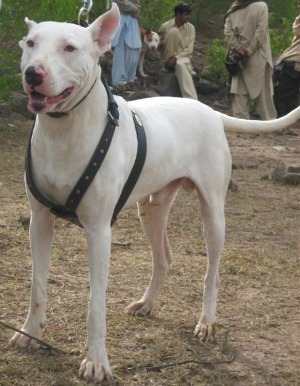 Pure breeds which have been crossed with other local breeds such as Bully Kuttas have cropped ears or ears which aren't totally erect and are known as the Typical Type Gull. They are more common around Pakistan. 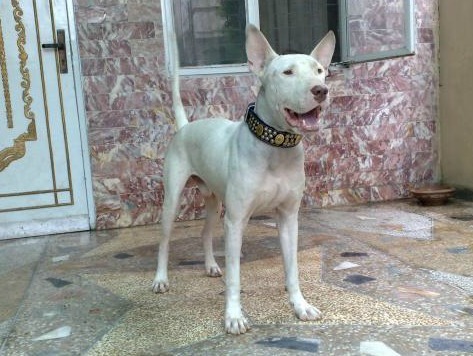 Aside from their ears being different, they are bigger, heavier and they are also found in different colours or with patches of colour against white whereas the Pure breed is always white. The Pakistani Gull Terrier dog is very intelligent who can be trained fairly easily. Like all strong dogs, he needs to be socialised from an early age and needs to know that YOU are the leader at all times. He cannot be allowed to think he is the boss or you will meet with some very serious issues such as destruction and aggression. 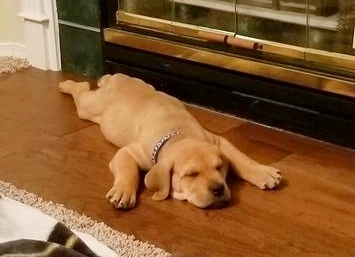 This breed is also very active and energetic and requires daily long walks to burn off some of his energy. This is an excellent guard dog. He is loyal to his owners and will fight to the death to protect his family and property. If he thinks something isn't right then this loyal dog will bark to draw your attention to it. They can be aggressive to strangers so care is needed when visitors come around who your dog does not recognise. 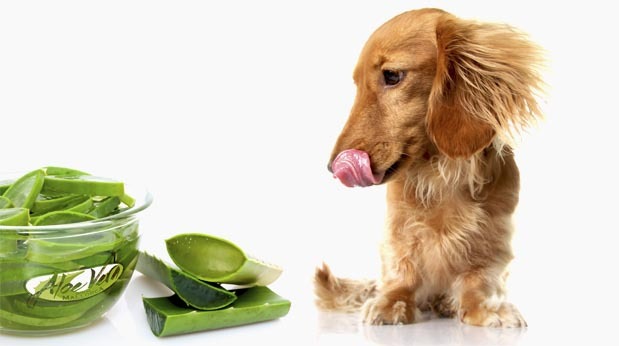 This is a short haired breed so it is very easy to groom and look after. The coat just needs occasional brushing. The coat is smooth and harsh and is twice as thick as Western Bull Terrier's to assist them in their fighting and bear baiting endeavours. This seems to be a fairly healthy breed as I couldn't find out anything out of the ordinary to look out for apart from that they are prone to deafness and mange which is common in all white dogs. 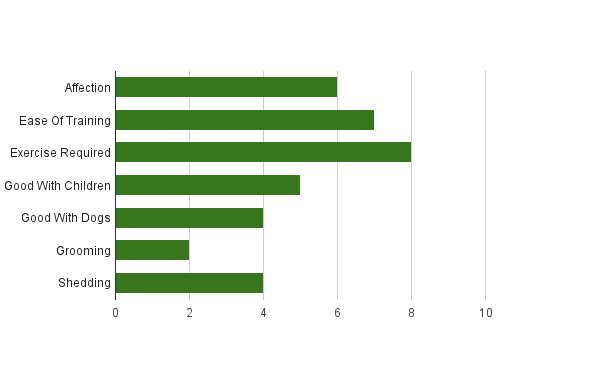 Something worth keeping an eye on is the breeding lineage which your dog comes from. 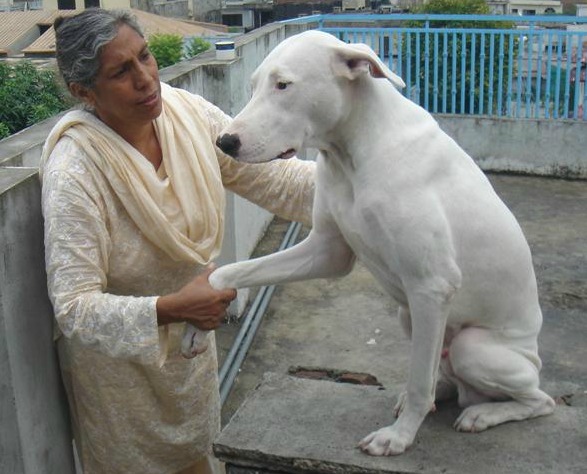 The breed is popular in Punjab and Kohat but rather rare elsewhere such as the UK which could mean a small gene pool. If this is the case then the dogs could be extremely inbred which could cause health and/or temperament issues if buying out with Pakistan. Some unscrupulous breeders are also mixing their Terr's with Bully Kattas but still describing them as pure breeds, which is not the case. I couldn't find any! If you know of any then let me know! You could find out about other Dog Breeds in the A To Z List with photos or perhaps you'd like to check out more Dangerous Dog Breeds?